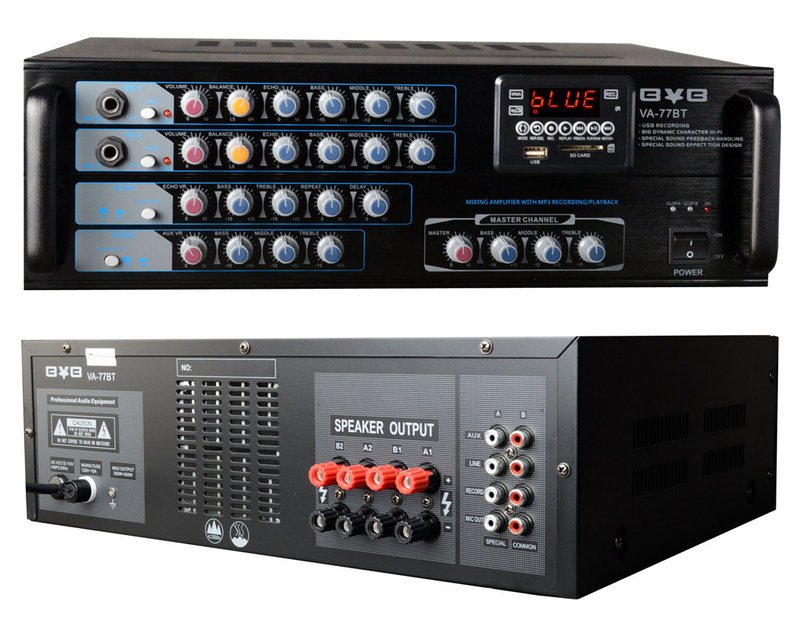 Newest Model: 2019 This BVB VA-77BT Professional AV Karaoke Mixing Amplifier built in USB Recording & Bluetooth Function offers enough flexibility to make it perfect for a wide variety of applications. 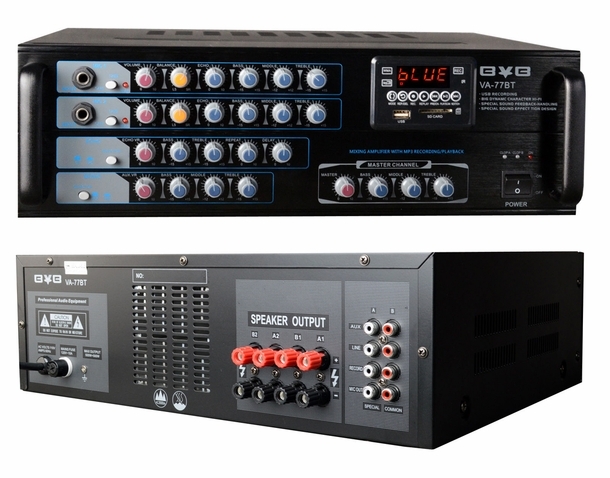 Its powerful 500W + 500W capabilities means that the VA-77BT can easily drive 2 pairs of speakers at once powerful enough for just about any party or restaurant. If you're a home enthusiast and require crisp clean sound, this amplifier will provide you with quality sound. Design in U.S.A, the BVB VA-77BT uses quality parts throughout to ensure that you'll always get top-notch performance. Oversized heat sinks keep the amp cool even when driving heavy loads, eliminating the need external cooling fans and guaranteeing silent operation.